It’s U.S Open week, and this year Pinehurst No.2, in North Carolina is the chosen host venue. A lot has been made about the course this week, the main focal point being the lack of rough. Typically, U.S Open courses are set up for a tough test, and the rough normally plays a big part. We saw at Merion last year, that missing the fairway off the tee proved costly and sometimes made approach shots impossible, so it will be interesting to see how the players approach off the tee differs this week. Whilst there is no rough, there is natural wastelands area, so it’s not completely safe to miss the fairway, although looking at the photos, even if you land in these areas there’s a chance you’ll have a decent lie. Distance may well be key this week, as over 300 yards has been added to Pinehurst No.2 since the 2005 U.S Open was held here, and at 7,565 yards, this is now a very long Par 70. Long hitters look to have an advantage this week, having said that, I wouldn’t be so quick to rule out a shorter hitter. Yes length will be a factor this week, and with generous fairways and less trouble either side of the fairway, the longer hitters on Tour will possibly be more inclined to grip and rip it, but approach shots are also vital. The undulating, dome-like greens are the course’s biggest defence, so hitting greens, and staying on them will be two very different stories this week. It’s hard to get a soft landing here, especially with long irons/hybrids, so this again is where being a long-hitter becomes advantageous, as such players will have a shorter club with their approaches, therefore increasing their chances of getting close. Scrambling will also be key, as missing greens is inevitable, and getting up and down for par will often be seen as a bonus. Although the rough is not anywhere near as severe as usual, finding fairways will still be useful, and if a player can combine accuracy and distance off the tee, with a good short game, then they should stand in good stead. To find what I consider a good suit this week, I will be looking for those that rank highly in both Scrambling and Total Driving, as well as those that simply have major pedigree. In the past I have been guilty of getting caught up in stats, so I will be including some “gut feeling” picks, as well as those who stand out from a statistical point of view, and hopefully between a combination of the two, I can find the winner of the 114th U.S Open, here at Pinehurst. Phil Mickelson 18/1 (Betfair & StanJames) 3pts win: It’s Phil Mickelson, and it’s the U.S Open, need I say more, or does it write itself? Lefty has won three of the four majors on offer, after winning the Open Championship last year, and after finishing 2nd in a U.S Open for a 6th time last season, the wait continues for a major grand-slam. Mickelson is having a very disappointing season, there’s no getting past that, he’s still without a top-10 all season, despite looking set for one on more than one occasion, including last week. In the weather delayed St Jude Classic last week, it looked as though he may well post his first top-1o of the season, but even after opening with three straight rounds in the 60’s, he failed to convert on the chance, +2 on the last day. He has been preparing for Pinehurst, and after mapping out the course last week, I am sure he knows exactly how he wants to play it this week, it’s just a matter of executing the plan. Despite not being in form all year, and missing the cut at Augusta in April, I am certain Mickelson can perform here, just like he did in 1999, when his streak of 2nd place finishes in U.S Open’s begun. The additional length added to Pinehurst No.2 for this year’s event shouldn’t effect him, and he may enjoy the more generous fairways. Apart from his obvious history with U.S Open’s, Mickelson has previous ties to Donald Ross designs, most notably East Lake, where he won the 2009 Tour Championship. He performs well there regularly, so he must be a fan of the layout. Apart from East Lake, Mickelson also performed well at Oakland Hills, the host of 2008 PGA Championship, where he managed to finish T7. All in all, despite a torrid season so far, I am sure he will turn it around, and I find it hard to believe that this man will retire without a U.S Open win. Pinehurst should suit Mickelson’s game, and at 18/1 I will take a chance on him here. Sergio Garcia 33/1 (General) 1.5pts e/w: Surely up there on the list of “best players without a major” Garcia has often showed promise in major championships, but ultimately failed, only this time it really could be different. First of all, Garcia has indeed enjoyed a very good time of late, winning twice in the last year, with his most recent win coming at the Qatar Masters, back in January. That win saw him climb back into the top-10, where he remains this week, coming into Pinehurst at #8 in the Official World Golf Rankings. As well as his win on the European Tour back in January, the Spaniard has finished in the top-10 on three separate occasions on the PGA Tour since, most recently at the Players Championship, finishing 3rd. He also finished T8 at the Honda Classic, and 3rd again this time at the Houston Open. With all this form behind him, Garcia looks ready to mount another serious major championship bid, and hopefully the knee injury that saw him pull out of the BMW Championship three weeks ago, is now long gone. Sergio Garcia and major challenges go hand in hand, and he has been in the top-5 no less than nine times in his career, at major championships, two of those coming in the U.S Open. He finished 4th in 2002, but more importantly he finished T3 at the 2005 U.S Open, which was played here, at Pinehurst No.2. The course has been renovated since, but Garcia should have good memories here, and his game absolutely suits the new layout. He is now slouch off the tee, currently ranking 30th in Total Driving, and his Scrambling has been superb this year, ranking 5th on both the European and PGA Tour. One last positive is Garcia’s form at Donald Ross designed golf courses, which is well worth noting. He won the Wyndham Championship in 2012, and finished in the top-4 a further two times, an event which is hosted by Sedgefield, one of Ross’ designs. As well as his form at Sedgefield, he has good finishes at both the Tour Championship, when he lost in a play-off to Camilo Villegas in 2008, and also at the PGA Championship in the same year, when he finished 2nd to Padraig Harrington. Both of these were near misses at Donald Ross courses, and he could easily of won three times on his layouts, including one major, but it wasn’t to be, and hopefully he can rectify that here. At 35/1 you really have to make your own mind up as to whether you trust him to finally get over the line in a major, but for me he looks in great shape mentally this year, and his game is looks as good as ever. We have seen an improved putting stroke from him in recent months, and that may well be a game-changer when it comes to pressure situations over the weekend. He is one of the most obvious picks this week, and I just hope he can finally fulfil his potential. Webb Simpson 45/1 (PaddyPower) 1.5pts e/w: Webb Simpson is a former U.S Open winner, winning this event back in 2012, and thanks to his performance last week, he looks one of the more popular bets this week. He hasn’t had a great season, despite winning earlier on in this wrap-around season, at the Shriners Open in October, but last week he returned to form, and rightly so his price has plummeted for this week. I was hoping he would come back to form earlier, but in doing it a week before the big event, he has put everyone on red alert. Having said this, I am still happy to back Simpson at 45/1 as all year I have liked his chances, for several reasons. The first thing that caught my eye, was Simpson’s ties to the local area. First of all he was born in Raleigh, North Carolina, just a couple of hours drive from Pinehurst, so it should feel somewhat of a home game for him. His family also own a home in the area, so he should feel extremely comfortable here. Last and maybe least (possibly irrelevant) Simpson was the Standard Bearer for Tom Watson’s group here, at the 1999 U.S Open. Enough of home comforts and the past, why do I really like Simpson’s chances here? First of all he has the experience of winning a major, better still a U.S Open. This should not be underrated, this is no mean feat for any player, look at the quality of players who still haven’t one and you realise how tough it is. He has all the attributes to win on a variety of golf courses and I feel Pinehurst is another. Although Simpson is not the longest off the tee, he does a great short game, and that will serve him well here. At is stands he ranks 9th in Strokes Gained-Putting, and 23rd in Scrambling and if he can improve on his somewhat average figures off the tee this week, he should be right up there. On a side note, Simpson ranks 13th in Par 4 scoring, something that’s always worth checking when playing on par 70 courses. As well as a good short game, and a U.S Open win already to his name, Simpson has also shown an affinity with Donald Ross designs. He won his first PGA Tour event at the 2011 Wyndham Championship, a Donald Ross design, and he must love the event because he’s named his newly born daughter, Wyndham! The build-up to and the birth of his child may well of been a distraction, and with a T3 finish last week behind him, it looks like it he may be back in the routine, and it should business as usual again this week. To top off his form at Donald Ross designs, he has twice finished inside the top-5 at East Lake, finishing 4th in 2013 and T5 in 2012. He also finished T8 in the 2011 AT&T National (now Quickens Loans National), which was played at Aronimink. These are all clear indicators that he likes the way Donald Ross designs are set up, and hopefully he continues the trend here at Pinehurst. Although his price has shortened considerably since I first pencilled him in for this week, I am happy to have him on side at 45/1, and I hope last week was a sign of better things to come. 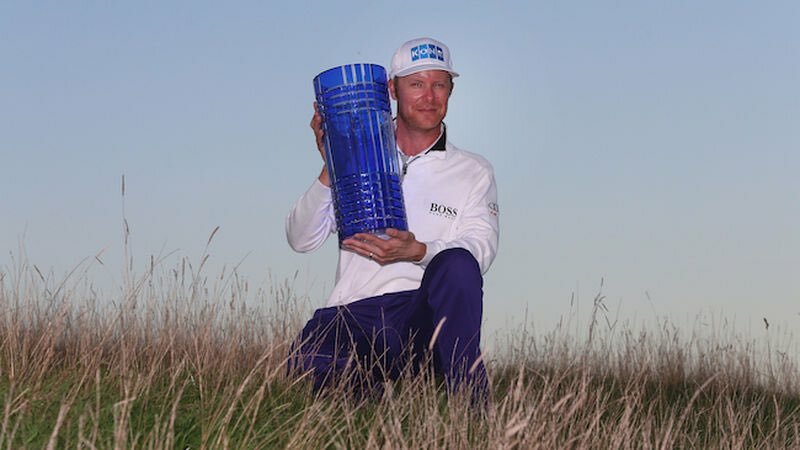 Brandt Snedeker 100/1 (StanJames) 1pt e/w: Snedeker is a name I am sure you are used to reading, especially if you’re a regular reader of my previews, however I have resisted the temptation to back him for large parts of this year, as he’s been off the boil. I did back him for the Masters, and once again he fell short, finishing T37 and he hasn’t improved much since. Post- Masters, Snedeker has only missed once cut, while making three, but his best finish in those four tournaments is T45 at the Crowne Plaza Invitational, so why am I backing him for yet another major championship? Well the first thing that drew me too him was his price. At odds of 100/1 I felt he had to be considered, and on further inspection I do believe this could be a huge price, and a somewhat overreaction to his form. Yes his form has been a worry, and a player of his calibre should be performing better, but he’s had injury troubles and I am hoping he can find something this week. The biggest positive for Snedeker is his form at Donald Ross designs, which I have referenced to in all my picks so far. As aforementioned, Phil Mickelson has won the Tour Championship, and both Sergio Garcia and Webb Simpson have won the Wyndham Championship, plus had respectable finishes at the Tour Championship. Snedeker though has won both events, and also had other strong finishes at the Wyndham Championship, posting another top-5 finish in 2009, and top-10 finish in 2010. Like Simpson, Snedeker’s first PGA Tour win came at the Wyndham Championship, which he won in 2007, but his Tour Championship win came more recently, in 2012. That Tour Championship win capped off a superb season for him, as it was his second win of the season, and was also enough for him to seal the $10m bonus, for winning the FedEx Cup. Snedeker continued his fine form through 2013, and won a further two times, and also finished T6 at the Masters. He was the 54-hole leader at the Masters last year, but unfortunately he failed to hold on, and I am sure he wants to avenge that week, by getting his hands on at least one other major championship. Of course his form is poor this season, with just one top-10 to his name, but he will welcome the opportunity to play at another Donald Ross design, and hopefully that gives him enough confidence to contend. This is purely based on his obvious form at Donald Ross designs and 100/1 price, and hopefully Snedeker can return to form this week and prove to everyone, why he’s someone to put your faith in. Jonas Blixt 125/1 (StanJames) 1pt e/w: Jonas Blixt has played in three major championships, and his current form is 2-4-26 in them, so at 125/1 I am happy to take a chance that the Swede plays well, in his very first U.S Open. Blixt was not fancied at the Masters in April, despite finishing 4th in his last major championship (2013 PGA Championship), but on his first visit to Augusta, he once again announced himself on the biggest stage, finishing 2nd, making people take real notice. It’s not like Blixt was an unknown commodity, he already has two PGA Tour titles to his name, but he has really elevated his reputation in the last year, due to his major performances and I for one expect this to continue. His worst major finish to date was at the 2013 Open Championship, which is pretty good going. He will of competed in all four major championships by the end of this week, and he will be hoping to continue the trend at Pinehurst. Unlike others, Blixt doesn’t have much form outside of the majors, his 16th place finish at the BMW PGA Championship on the European Tour three weeks ago, the exception. He’s also not the ideal candidate statistically, ranking below average in both Driving Distance/ Total Driving, and Scrambling. These stats however are based on the entire season, and when you look solely on his performances in the majors, it looks like he finds something extra on these occasions. Whilst I originally didn’t think he was suited to a U.S Open test, I think he’s a brilliant price to continue his major form, and at 125/1 he’s well worth taking a chance on. If the rough was like Merion last year I would be less inclined to back him, as he does have a tendency to find the rough off the tee, but hopefully he can navigate the native/wasteland areas, as I am sure he will have to deal with them during the week. Major’s are always difficult to predict, and this one is no exception. I am confident that amongst my five picks there is this year’s U.S Open winner, and I cannot wait for it to start. Camilo Villegas finished just outside the pay-out places last week, at 125/1 and hopefully luck will be on our side this week. Happy punting, and enjoy the U.S Open!